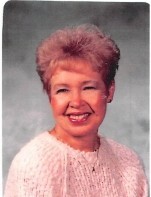 Hazel Marie Blankenship, age 90, passed away on June 23, 2018 at Willow Brook in Delaware, OH. She was born January 08, 1928 to the late Charles Blankenship and Dovie Long in Marion, OH. Surviving her are her loving siblings, Beverly Ann (Larry) Furniss of Marion, OH and Harold (Linda) Blankenship. Aside from her parents she is also preceded in death by her siblings Leonard Blankenship, Charles Blankenship, Kenneth Blankenship, Harry Blankenship, Doris Dixon, Arlene Babock, Betty Smith, Rosemary Blankenship and Virginia Blankenship. Hazel was a graduate of Marion Harding High School in 1946, and she also attended Marion Business College. She had worked as a legal secretary, followed by working for Judge Paul D. Smith of the common pleas court for eight years. Hazel had also worked at OSU at Marion and Main campus for Ronald L. Racster, Director of Center for Real Estate, College of Business for 28 years. After retirement she worked as a tour guide for Horizons Travel in Marion for four years. Enjoyed traveling and OSU football games. Hazel also loved to play golf until she was 83 and managed to accomplish what some desire, a HOLE IN ONE. She attended Oakland United Methodist where she was very active over the years. Memorial Service for Hazel will be held on July 14, 2018 starting at 10:30 AM at Oakland United Methodist 835 Bellefontaine Ave., Marion, OH 43302.